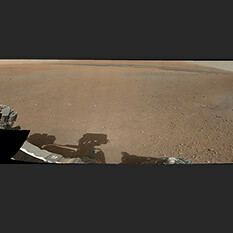 A wonderfully strange photo from Opportunity's exploration of Cape York, Endeavour Crater. 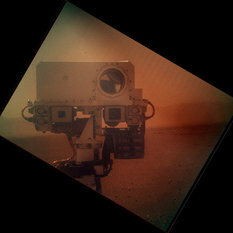 Curiosity completed the "Intermission" phase on sol 29, and began checking out the robotic arm. 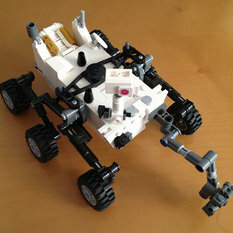 A petite model of Curiosity in LEGO accurately represents many of its features and functions. 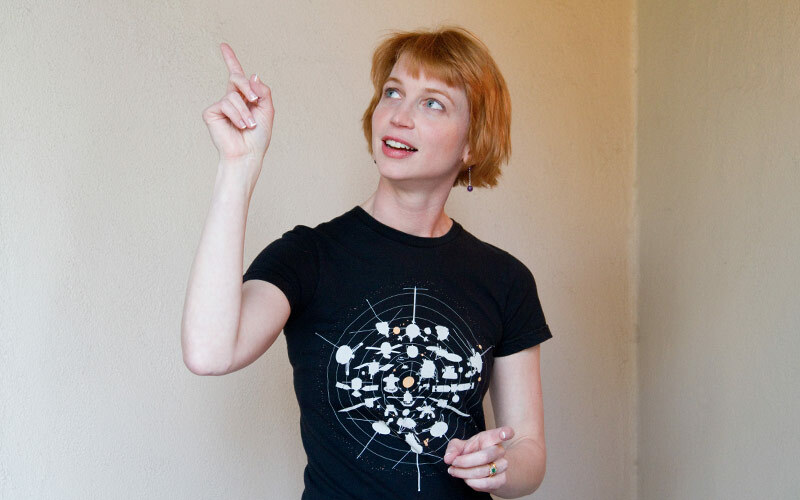 It's an active time in interplanetary exploration! 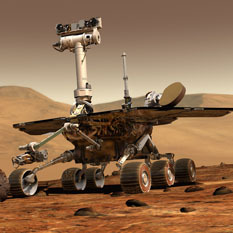 Curiosity has begun roving Mars, and Opportunity's not wasting any time either. 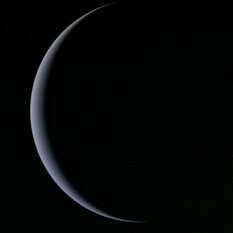 Dawn has just departed Vesta and begun the more than two-year cruise to Ceres. 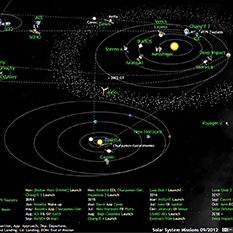 Juno is in the middle of a big deep-space maneuver, setting up next year's Earth flyby. 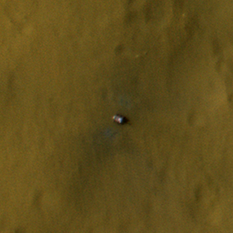 HiRISE's best opportunity to view Curiosity so far came 12 days after landing, when the orbiter passed nearly directly overhead. 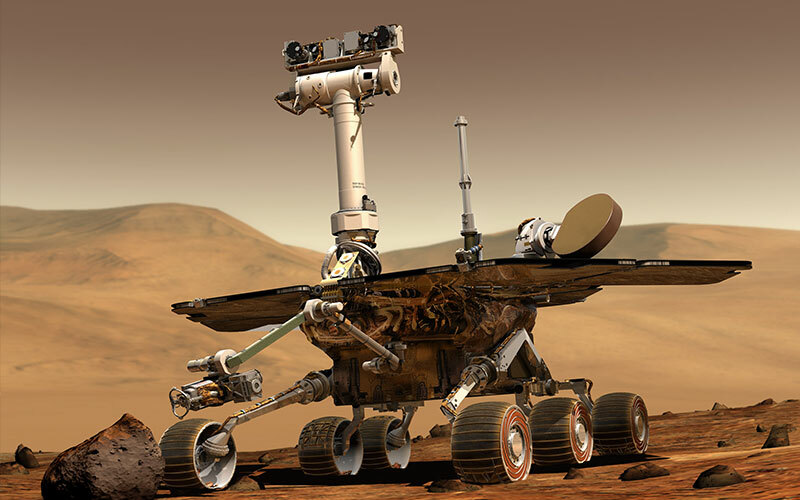 The photo resolves amazing detail on the huge rover. 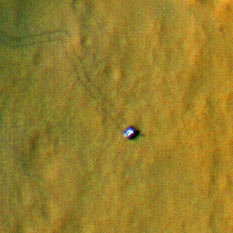 Yesterday, August 27th, 2012, was, in a sense, the 50th anniversary of interplanetary travel. 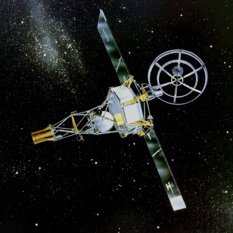 Fifty years ago yesterday, Mariner 2 launched toward Venus, and became the first object to leave Earth and travel to another world. If you've been obsessively checking the Curiosity raw images websites for new pictures from Mars, you might have noticed something weird: a bunch of Mastcam images and a few from MARDI that are black-and-white instead of color, and which have a peculiar checkerboard pattern. 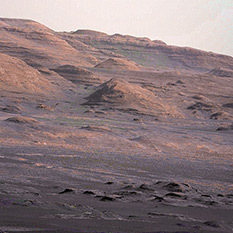 The top of the mountain has finally been filled in, and Damien Bouic has produced what I think is the definitive version of Curiosity's first color panorama.